A small yet distinct area of downtown Copenhagen, the broad, parallel streets of Frederiksstaden were uniformly designed in Rococo style in the latter half of the 18th-century. Heading north-east of Kongens Nytorv Square, elegant boulevards Bredgade, Store Kongensgade and Amaliegade, with their straight-lined symmetry, are in contrast to the narrow, winding streets of the Indre Byen. Much of the old architecture remains and the district is today characterized by private art galleries and antique dealers and dominated by royal residence Amalienborg Palace and the neighboring Marble Church.Further north near Kastellet, the yellow terraces of Nyboder were built to house naval families, and continue to do so today. 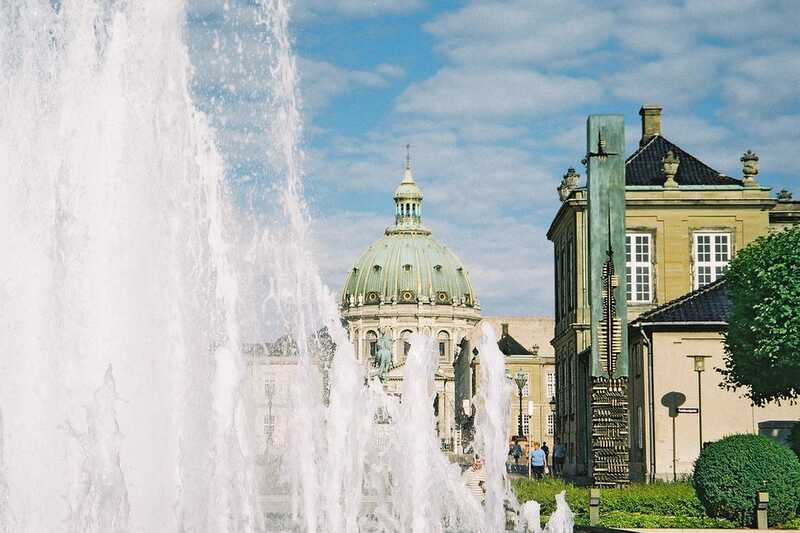 Some of Copenhagen's biggest attractions are located in Frederiksstaden: Royal residence Amalienborg is in its center, with the large-domed Frederikskirken (the Marble Church) just around the corner. Two interesting museums in the area are Designmuseum Danmark (the former Kunstindustrimuseet) and the slightly creepy, offbeat Medicinsk Museion. The northern edge of Frederiksstaden is bordered by Kastellet, the city's old fort and a pleasant area to stroll around. It isn't quite as easy to find a great restaurant in Frederikstaden as in Copenhagen's other downtown districts, but the area does have a few gems, many of them on the high end. Check out the traditional fare on offer at Cafe Petersborg, or seek out Restaurant Koefoed on Landgreven, for its regional Bornholm cuisine or the climate-friendly harbor restaurant and grill Toldboden. The hotel choices of Frederiksstaden mean staying close to the water and, in most cases, enjoying great harbor views along with it. Luxurious design hotel Front, the traditional Phoenix and the renovated, historic Admiral are the top end of the scale: Those looking to spend a little less should check out Esplanaden or Clarion Hotel Neptun. The main shopping street of Frederiksstaden is Bredgade, which is known for its expensive antique dealers and private galleries like Bredgade Kunsthandel, Asbæk and auction house Bruun Rasmussen.